2013-04-21 :: Fox with child in our backyard [10111681__20130421-200234] It was a very nice sunday evening and we enjoyed the spring. Suddenly we saw a fox running through our neighbours garden. 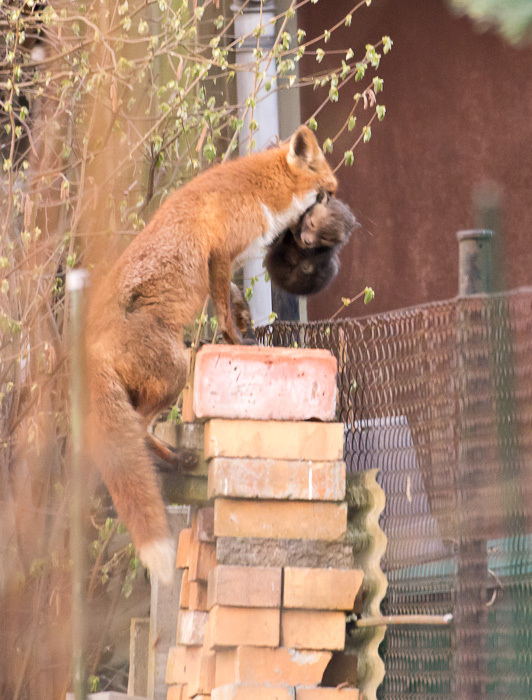 Two minutes later, the fox returned the same way but with something in the mouth. It was her child. I hurried up to get my camera out of the house and came back right in time to take this photo.